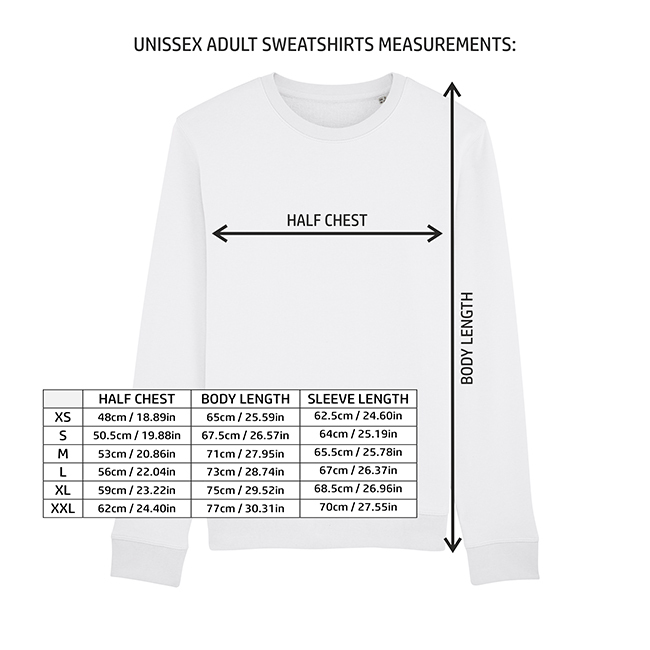 - Personalised women's & men's sweatshirt made from 85% organic cotton and 15% recycled polyester. 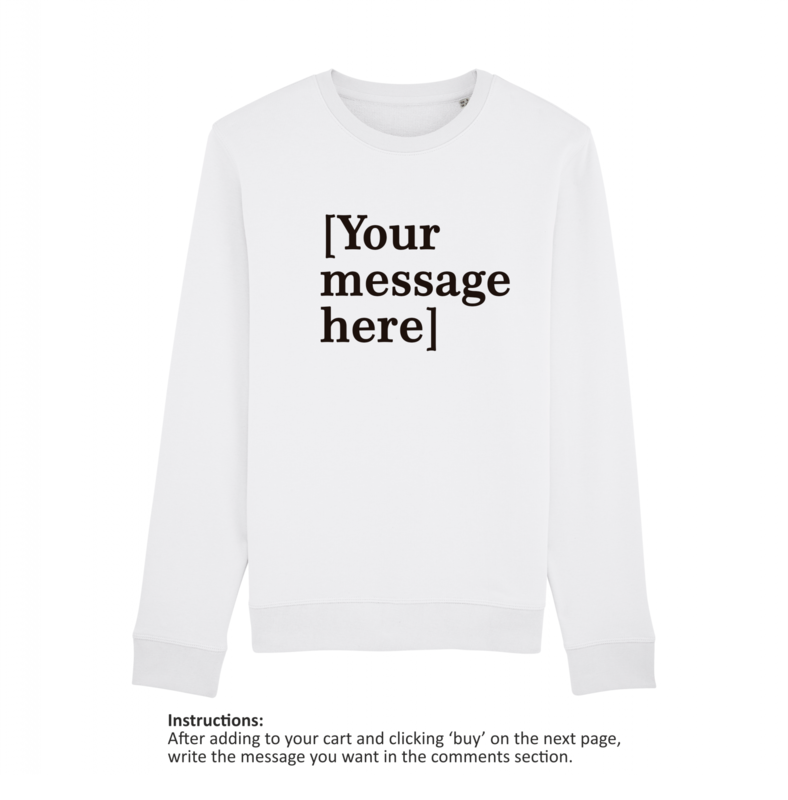 Want to create a sweatshirt with your own message and in your own style? It’s simple! Just use the options above to choose the colour of your message and your size. Then, at the check out stage, write in the comments section the message you want printed, along with any other instructions. Finalise your purchase as you would for any other shirt. Our team will then get to work on your sweatshirt and email the design to you for your approval. If it’s not exactly what you were thinking of, you can send it back to us by email for modifications up to three times. In the highly unlikely case that you still don’t like what you see, we’ll refund your money. 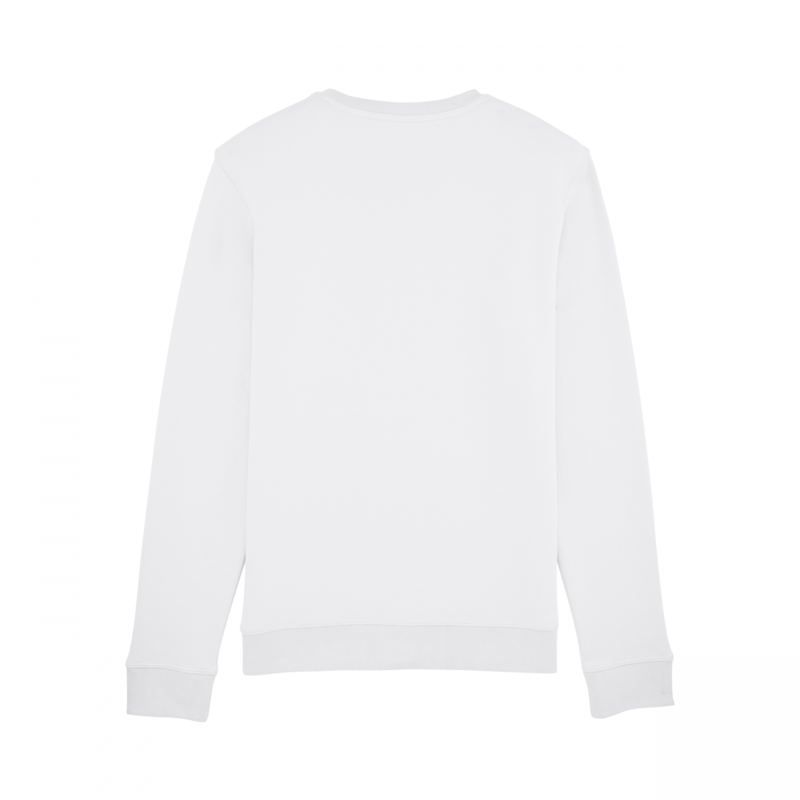 Once we get your final approval we’ll make and send your sweatshirt within one business day. It’s that quick and easy!